SEO is the process that enhances the visibility of a website or web pages in the search results of popular search engines such as Google, Bing, and Yahoo etc. The work of SEO link building is to link your website to some other websites and get other pertinent website that can link back your website. 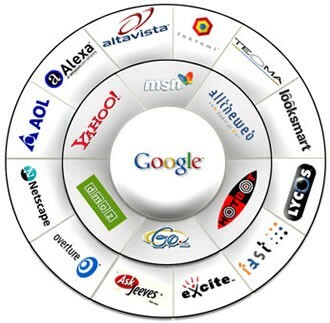 It is very necessary to improve ranking of your website in the search results of popular search engines. With the help of some link building strategies you can spread word around the web and try to offer things of your website online. This will help you to increase rank of your website for the target keywords. Here are five Proved and Powerful SEO Link Building Strategies that may result in increasing rank of your website in the search results of popular Search Engines. A killer content is a web copy or article that is very informative, interesting, and instructive. It is capable of attracting new visitors to your website by providing interesting material to your visitors. It will ultimately influence people to link your content as high quality content is worth enough to link for a wise visitor. It is a very powerful strategy of link building as it capable of improving your website ranking to a great extent. For an instance, if your category is internet marketing then you can create an informative list of best blogs in internet marketing. Moreover, you can write a short description or review regarding each blog in the list. This can result in building powerful links of your website or blog to other popular blogs that ultimately increase your rankings in the search results. Making an interesting blog is a key towards any online business. However, don’t just make a blog and fill it with some useless posts. Add contents that are worthy enough to generate huge traffic in your blog. You can now connect this blog to your main blog for the purpose of link building. It is a very efficient strategy of link building as it can generate traffic to both blogs. However, this strategy may take some time, but, it would be very effective one to improve your rankings in the search results. It is not the exact technique of creating SEO backlinks for your website. However, the only thing you must focus is on backlinks, no matter from where they come from. Social bookmarking can brings new visitors to your website as anyone can click on your bookmarked post if they find interesting to do so. Thus, you can make use of social bookmarking strategy for building strong SEO link building for your website. You can do article marketing by submitting high quality articles to some article directories or any other website. This is known as the best method of SEO link for any website. You just have to spend your time in making high quality and informative articles for promotion of your website. Conclusion: SEO link building is an important tool that can improve your website ranking to a great extent. You can make use of powerful SEO link building strategies to improve ranking of your website.